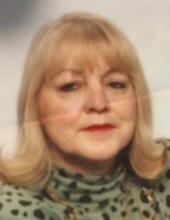 Linda M. Lay, 67, of Pekin passed away peacefully surrounded by her family on Tuesday, January 29, 2019 at her residence. She was born October 18, 1951 in Peoria to Vesper Earline and Violet Pendegrass Martin Sr. She married James Arthur Lay; he preceded her in death July 24, 2010. Her father and one brother also preceded her in death. She is survived by her mother, Violet Mienders; children, Stephen Berfield Jr., Tina Berfield, Jeffrey Berfield, Linda (William) Lay-O’Brien; 18 grandchildren; 5 great-grandchildren; 2 sisters and 4 brothers. Linda loved her children and grandchildren very much. She was a beloved mother, grandmother, daughter, sister and friend and will be greatly missed. She was devoted to her family and had a big heart. Linda was a very hard worker. She fought a tough battle with cancer, never complained or asked for pity. She stood tall and proud of the person she became at the end of her journey. Cremation has been accorded and no services will be held. To send flowers or a remembrance gift to the family of Linda Lay, please visit our Tribute Store. "Email Address" would like to share the life celebration of Linda Lay. Click on the "link" to go to share a favorite memory or leave a condolence message for the family.